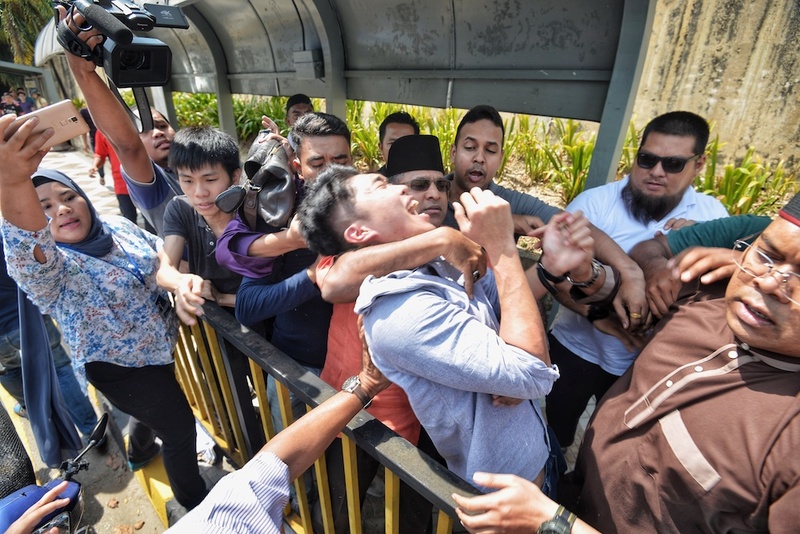 March 22, a group of UM students were assaulted by UMNO members for protesting against former Prime Minister Datuk Seri Najib Razak for the missing RM2.6 billion. One of the students held a card with Najib’s face looking like a clown, which lead to UMNO supreme council member Lokman Noor Adam’s assault on the students. The scuffle undoubtedly caught the attention from multiple parties and official statements from a few were released. Not long after, UM released a statement condemning the aggressive behaviour displayed by the UMNO members. But in what seems to be an attempt on being unbiased, UM also said they do not support any form of verbal or visual provocation by students or ‘certain’ groups. Nonetheless, UM supports any disagreements and exchanging of ideas by students to push the boundaries to produce future leaders and viable intellectuals. Maszlee Malik weighed in on the incident, saying he strongly condemn the attack on Friday but the university should not have responded so vaguely about what happened. Adding that the university’s response appears to be blaming the victims. Maszlee throws in more support for the students, stating that undergraduates shouldn’t be ashamed to press for the truth. 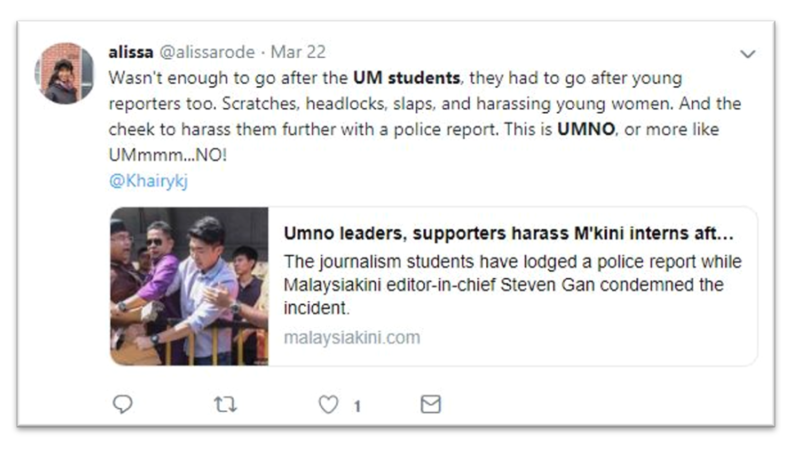 The incident also caught the attention of vice-chancellor of UiTM (Universiti Teknologi Mara) Prof Dr Mohd Azraai Kassim, where he voiced his stance with the students who were assaulted. The professor said the act violates the Malay-Muslim ways of civility and manners and such violence has no place in their campus. Apparently, the fight also involved two MalaysiaKini interns while they were covering Najib Razak’s talk. One intern told Lokman to give her some personal space, in which he replied: ‘mak kaulah personal space‘. Whereas another intern got shoved during the fight by another UMNO member. Although the fight didn’t last long, it surely left an impression on internet users. Most condemn how the UMNO members behave, while some are more concerned with how UM handled the situation. As of last night, the police had received 12 reports and recorded statements of 10 witnesses over the incident to assist in investigations under Section 160 of the Penal Code (punishment for committing affray, groups fighting in public that disrupts peace).